Dr Alston Kennerley, Honorary Research Associate and Historian from the School of Marine Science and Engineering, held a lunchtime lecture that looked at the 150 year history of University of Plymouth, originally known as the School of Navigation. This event saw the launch of Dr Alston Kennerley’s new chapter ‘The University of Plymouth: In the Early Twenty First Century’. In partnership with Plymouth City Council, the University has sponsored and produced Plymouth's 2011/12 Writing Anthology as the first official publication celebrating our 150th anniversary. This exciting publication entitled 'Explore' contains 150 written pieces contributed by children up to the age of 14 from local schools as well as contributions from a group of Chinese students who were visiting the city during the summer. The launch event was hosted in Plymouth's Guildhall and was attended by almost 400 people including most of the budding young authors, inspired by award-winning author Caroline Binch. The Marine Institute celebrated the 150th Anniversary of the founding of the Plymouth School of Navigation during its Spring Term Public event held in the Sherwell Centre, University of Plymouth, on 29 February 2012. During this event, a new commemorative brochure 'Marine and Maritime Excellence' was launched. This publication provides a brief history of marine and maritime education in Plymouth and was launched by Professor Neil James, Head of the School of Marine Science and Engineering. 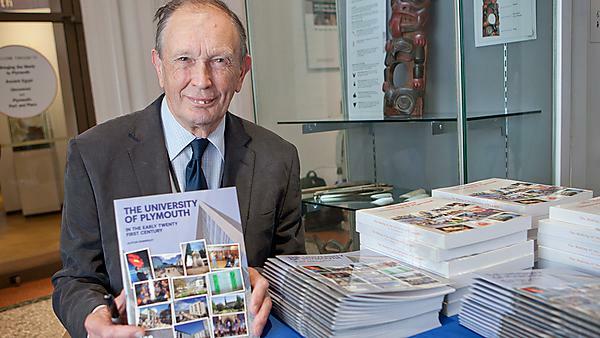 'Well over 150 things you should know about University of Plymouth' is a brand new book celebrating University of Plymouth's 150th anniversary. Written for children, this book traces the University's history from our earliest days as a School of Navigation to the present day, and beyond! What makes our book particularly special is that it has been written and illustrated by University of Plymouth students Owen Longhurst, Carly Watson and Jake Rowlinson under the guidance of author Helen Greathead with help from school pupils at Marine Academy Plymouth and St Budeaux Foundation Junior Primary School. 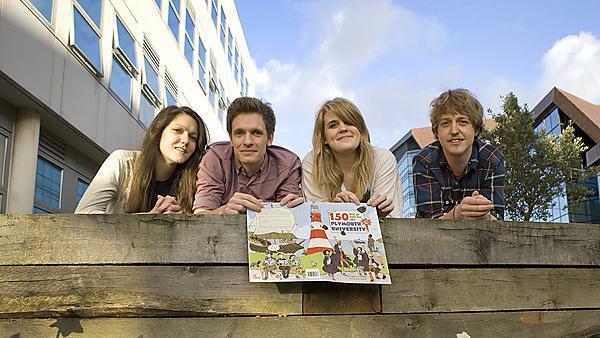 The book, published by the University's social enterprise, 'Trufflehog', celebrates University of Plymouth's 150th anniversary. The book is available via the University's eStore.